Let’s face it, wrinkles are one of those things that many of us would like to avoid for as long as possible. If you’re someone who is starting to experience the onset of wrinkles, or you’ve been dealing with wrinkles for a while now, there are ways to help reduce them. Sure, there are many creams and potions we can try to help reduce and prevent wrinkles, but nothing beats a natural remedy. 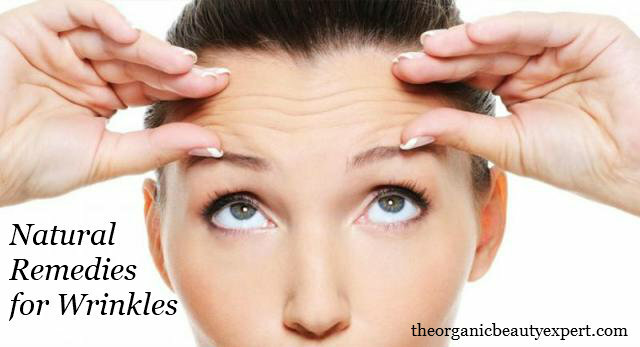 So let me introduce some of the best natural remedies for reducing wrinkles. When you think of wrinkles, you probably think of your parents, your grandparents, or even how the president has gained many of them once their job is said and done. While we would all like to stay looking young forever, it’s just not realistic. There are many factors that go into the development and prevention of wrinkles. But it’s important to remember that wrinkles are practically unavoidable as long as you live a long life. No matter how healthy someone lives, it’s a guarantee that your skin will age sooner or later. The good thing is that it’s normal, totally harmless, and everyone has to deal with it. But why do we get wrinkles? The main explanation is that wrinkles form when the skin becomes thin, and starts sagging. 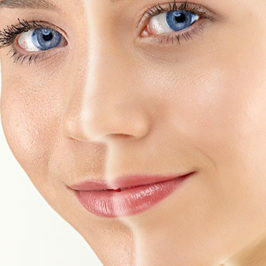 As skin ages, connective tissue starts to become weak, and the collagen and elastin in your skin start to break down. This is what creates the wrinkles we see on our bodies. Common places where wrinkles appear are on the face, neck, hands, and forearms. 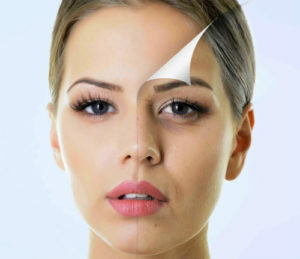 The most common reasons wrinkles start to appear or happen excessively are things like too much sun exposure, smoking, drug usage, stress, weight loss, lack of vitamin E, among many other causes. Now that we’ve covered the reasons why they appear on our skin, it’s time to get into tips for preventing wrinkles. These natural remedies are easy to do in the comfort of your home, and some of the items may even be readily available in your cupboard. We all know that dry skin is easier to damage than skin that is properly moisturized. Not to mention, the oils we just listed are high in vitamin A and E antioxidants. The way you use these oils is the same way you would use any lotion. 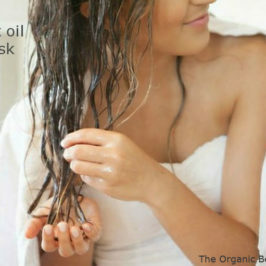 Use a little bit of oil (a little goes a long way) and rub it into the affected areas. 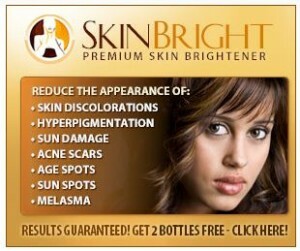 This is going to help repair and regenerate skin cells. 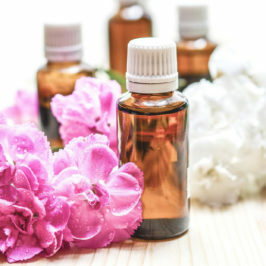 Healthy oils will be effective in protecting and moisturizing your skin. Even more-so than your typical lotion. Fenugreek is commonly used in culinary dishes as well as for homeopathic remedies. In the case of prevention and reduction of wrinkles, you can use fenugreek leaves, seeds, or oil to help firm the skin and regenerate cells. The vitamins that fenugreek leaves contain can easily be absorbed by the body, making it a very effective remedy. One way to incorporate fenugreek into your daily routine is to make a paste from it’s leaves. Apply the paste to your face, or the affected area, and leave it on while you sleep. Another method is to wash your face with water boiled and infused with fenugreek seeds. 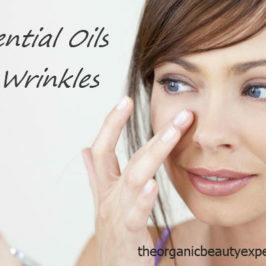 You can also use fenugreek oil directly on your wrinkles. Due to it’s high antioxidant content, ginger is a great remedy for avoiding wrinkles. It works by preventing the breakdown of elastin in the skin. Because of it’s ability to inhibit one of the main causes for the formation of wrinkles and fine lines on your skin, ginger is definitely something you should use if you want to look younger. It can be used in two different ways. The first method calls for a pinch of grated ginger and a tablespoon of honey to be eaten every morning. The second method is to drink freshly brewed ginger tea two times (or more) every day. Aloe vera is notoriously known for having many benefits for the skin. The plant itself contains malic acid, which is what helps improve the elasticity of your skin, thus reducing wrinkles. It’s no wonder why the general consensus is that aloe vera is amazingly beneficial for your skin for many different reasons. It is best to get the benefits straight from the plant by cutting a leaf, and extracting the gel. 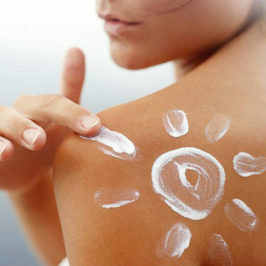 Simply apply the gel to your skin, leave it for 20 minutes, and wash it off with some warm water. An alternative method is to mix the aloe vera gel with vitamin E liquid from a capsule. Just apply the mix to your wrinkles, leave it on for 30 minutes, then wash off with warm water. Being a good source of fiber, iron, zing, calcium, vitamin E, folic and oleic acid, it’s no wonder why almonds are one of our favorite super foods. All those nutrients can be utilized to help delay aging, as well as reduce and prevent wrinkles. To gain the benefits, you can use either almonds themselves, or alternatively, almond oil. Use raw almonds to make a paste by soaking them in raw milk overnight, removing the skin, and grinding into a thick paste. Apply to your skin, leave it for up to 30 minutes, then wash it off. Alternatively, you can massage the almond oil into your skin. We love carrots for it’s high content of vitamin A, an important antioxidant that helps us produce collagen to keep the skin nice and smooth. It’s easy to use carrots in our everyday lives. One method is to blend boiled carrots and honey to create a paste, then apply it to your face to set for 30 minutes. The easiest way to gain the benefits from carrots is by simply eating raw carrots several times per week. Known as one of the favorite fruits of the world, bananas are packed with vitamins, minerals, and antioxidants that can be extremely beneficial in the fight against wrinkles. Simple use the paste of two mashed, ripe bananas on the areas of skin with wrinkles. Leave it on for a minimum of 30 minutes, then follow it up with a wash and a good moisturizer. This would be a good time to use one of the healthy essential oils we mentioned earlier. This tropical fruit contains the enzymes to help improve your skin’s elasticity, moisturization, and the ability to remove dead skin as well. You also get the benefits of antioxidants, fibers, and many other vitamins that are beneficial for your skin’s health. A simple way to use pineapple is by rubbing the flesh onto the wrinkles of your skin. Leave the skin to dry for about 20 minutes, them rinse off with water. You can also use the juice of a green pineapple, but leave it on for five minutes instead of 20. You may have heard about lemon juice and it’s benefits for your skin. This also means it can help you get rid of wrinkles as well. The citric acid it contains works as an exfoliant and dead skin remover. It’s also deep cleansing and fades blemishes such as scars, wrinkles, and dark circles around eyes. The easiest way to use lemon juice is to rub a little bit into your skin, leave it for up to 10 minutes, and wash it off with some water. You can also make a face mask with 1 teaspoon of yogurt, 1 teaspoon of honey, as well as vitamin E oil with your lemon juice. Leave the mask on for up to 20 minutes. We already know that moisturized skin is much better protected from damage compared to dry skin. There is no better way to moisturize than from the inside out. By staying hydrated with water, the skin’s moisture level is maintained. Drinking more water is the easiest thing you can do to help prevent wrinkle formation. Try to only drink water that is filtered and/or pure to avoid trace chemicals. Try to aim for a minimum of two liters (8.5 cups) per day. While you can do these things religiously, the natural methods are not complete without an improvement of your lifestyle. If you find that these home remedies are not enough by themselves, of you want to get the most out of your natural treatment, make sure to do these other important things too. Not getting enough sleep can cause many negative effects aside from speeding up the aging process. The sweet spot for sleep seems to be between 7 and 9 hours every night. Make sure to sleep on your back, because sleeping on your stomach or side can cause you to develop what is known as “sleep lines”. If that seems impossible, then a silk pillowcase could help you out by allowing the skin to retain moisture through the night . Everybody knows that smoking is bad for your overall health. Because smoking messes with your body’s blood circulation, the blood supply to your skin is decreased. This makes for skin that is loose with a gray color to it. The carbon monoxide in the smoke also leaves your skin dry. It doesn’t stop there, because smoking also depletes the body of nutrients (such as vitamin C) that are important for skin repair, it actually accelerates aging. Contrary to popular belief, it’s actually not necessary to wash your face with soap every morning. Water alone will be enough. Before and after exercising, after work, and before bed, use a cleanser that is moisturizing instead of soap. Also keep in mind that soap can mess with your pH balance, making your skin prone to damage and wrinkle formation. If you need to clean makeup or dirt off your face, then opt for natural cleaners like witch hazel or tea tree oil. Always make sure to moisturize after washing to keep the skin hydrated. Stress is one of the most destructive things for your body. It’s harmful to your DNA cells, meaning you can age faster. While stress is unavoidable, it’s best to learn how to manage your stress by making a few changes to your lifestyle. Things to do are limit caffeine, eat a well balanced diet while avoiding processed foods, and even try meditating and yoga to find some inner peace. Exercising is a great way to keep your health in check. Not to mention how great it is to help manage the stress you deal with on a day to day basis. The best way to exercise is for less than 90 minutes, and make sure you get out some sweat! Sweat is great for you because it releases toxins while keeping the skin moisturized. It’s understandable that make-up can help you look better, but only when it’s on. A lot of makeup actually contains harmful chemicals for your skin and body. Especially foundations and powders are known for being big culprits in the early onset of wrinkles in women. Opt for all organic, natural and light makeup, or limit the amount you wear. Sugar is one of the biggest causes of the health problems we experience. While we know it causes diabetes and obesity, it’s important to realize it also contributes to creation of wrinkles. Reducing your sugar intake might be hard at first, but it’s definitely worth it in the long run. Not only will we be preventing wrinkles, your taste palette will improve, making healthy foods more enjoyable.